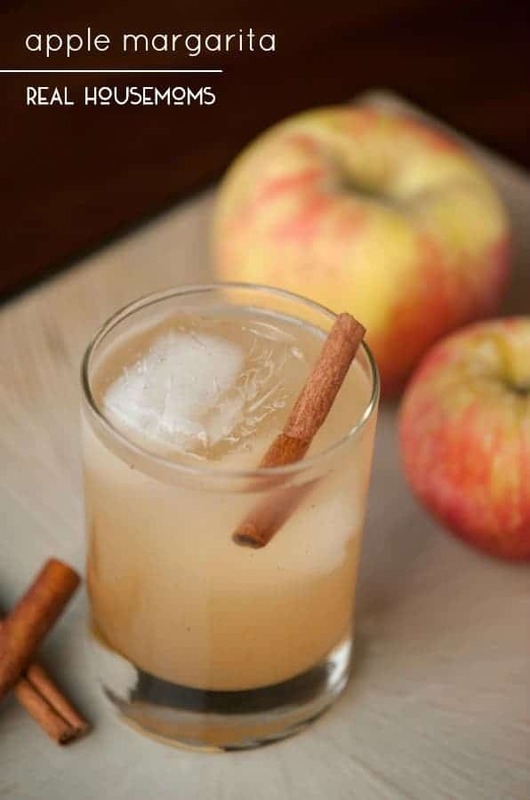 Fall entertaining wouldn’t be complete without serving a delicious APPLE MARGARITA made with apple cider, silver tequila, and elderflower liqueur! This summer, Aubrey introduced me to St. Germain which is an elderflower liqueur. Needless to say it has quickly become one of my favorite things to add to cocktails. The pretty bottle sure doesn’t hurt either. The makings of a basic margarita are lime juice, simple syrup, and tequila. 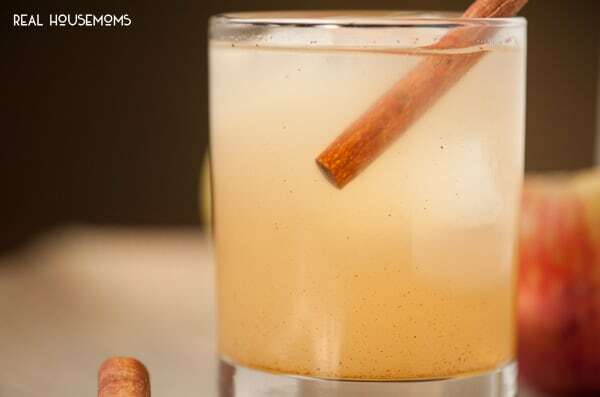 For this cocktail, I swapped the lime with lemon, muddled the citrus in the simple syrup with some cinnamon, and then used some delicious apple cider and a hefty splash of St. Germain to make the most wonderful apple margarita. This drink was a tad on the sweet side, so be careful because the sweeter the booze, the easier it is to drink. You can always omit or reduce the simple syrup if you prefer a little less sweet in your drink. Like all the drinks I make, this one is super easy to make. 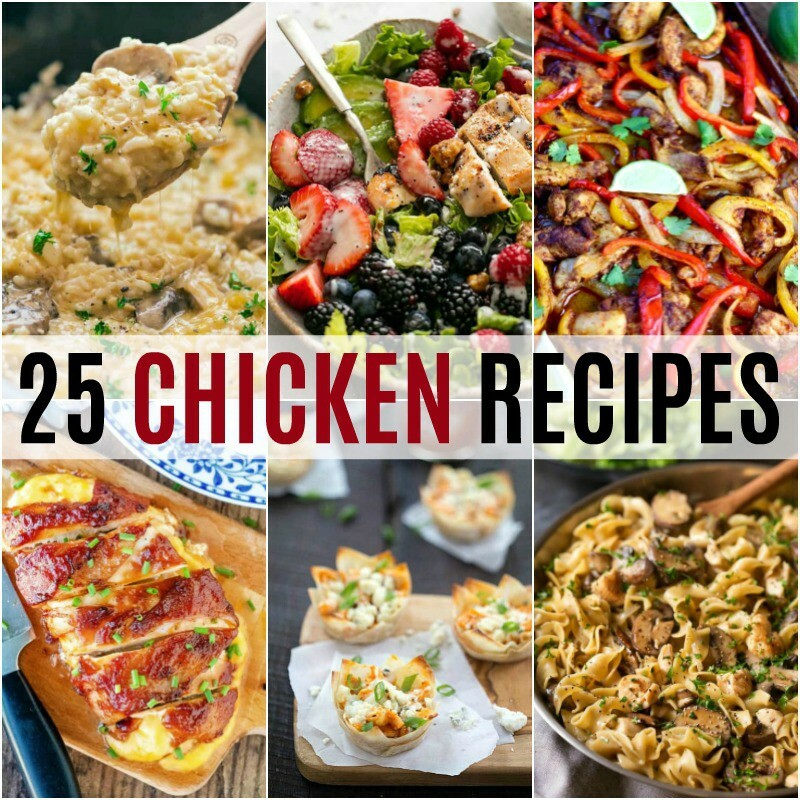 How perfect would it be to make a big batch in a pitcher and serve while people are snacking on appetizers before Thanksgiving dinner? I know a chaotic house full of in-laws is much more agreeable (in my family, anyway) when the apple margaritas are flowing! 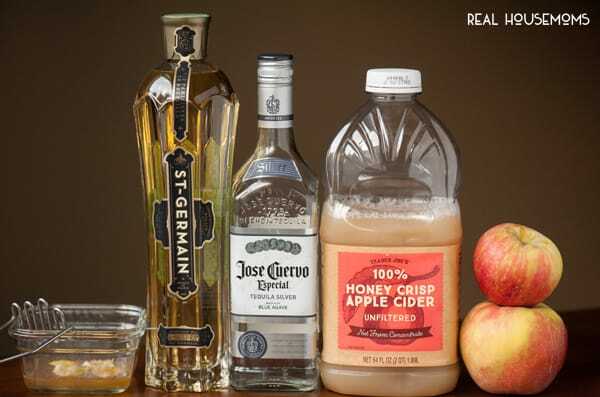 Fall entertaining wouldn't be complete without serving a delicious Apple Margarita made with apple cider, silver tequila, and elderflower liqueur. 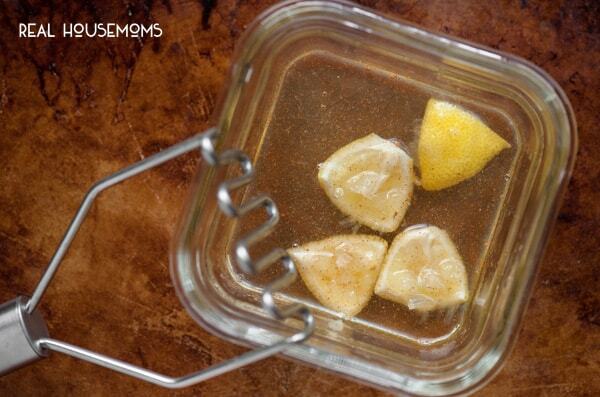 In a cocktail shaker, muddle the lemon quarters with the ground cinnamon. Add ice and the tequila, elderflower liqueur and apple cider and shake well. 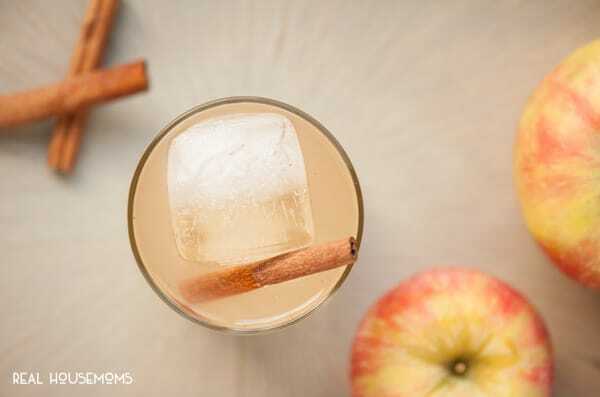 Strain into an ice-filled rocks glass and garnish with the cinnamon stick. 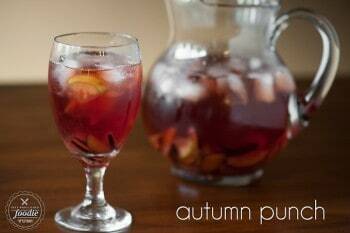 If you like this drink, you’ll love my fall version of sangria, autumn punch. 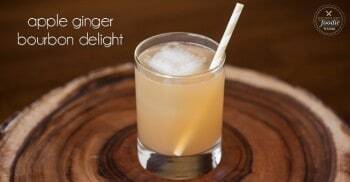 Plus, this apple ginger bourbon delight is also a definite crowd pleaser.